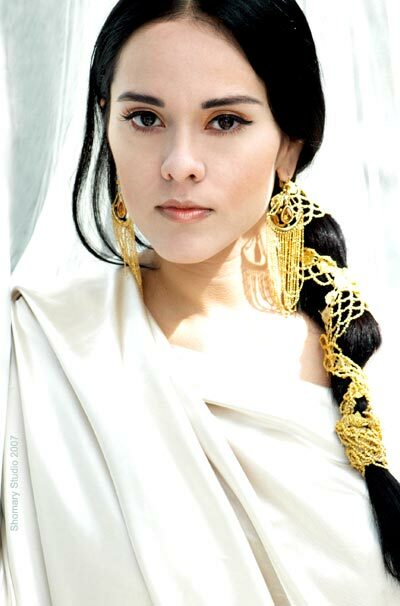 Gizelxanath is a mexican soprano born in Mexicali, Baja California. A naturally talented opera singer, she has extended her repertoire range to an almost all encompassing one which includes musical comedy, french popular songs, latin american boleros, jazz, sacred music, afro-peruvian-style pieces, argentinean tango and mexican folklore, in addition to the standard operatic repertoire. Her artistic qualifications include operatic studies and master classes in highly prestigious universities such as: The Mozarteum Hochschule für Musik (Salzburg, Austria), The Ark Institute for the Performing Arts (San Diego, California), The Conservatory of Music (Tijuana, México) and The University of Baja California. She has been the recipient of many noteworthy awards including: The University of Fresno Scholarship, and The Metropolitan Opera National Council Auditions Award. The intrinsic beauty of her voice has been recognized and praised by many of today’s best opera singers, composers and musicians, including: Grace Bumbry, Francisco Araiza, Jaques d’Ambroise, Jerome Korman, Judith Lynn Stillman, Georgetta Psaros, John Bills, Pablo Zinger, Pancho Navarro and Enrique Gonzales Medina. Among the many professional achievements throughout her musical career, it is worth to highlight her brilliant performance as Cherubino in Mozart’s Le Nozze di Figaro (The Small Opera of San Diego, 2000), Lola, in Pietro Mascagni’s Cavalleria Rusticana (2002 - 2003), Serafina, in Enrique Medina’s Serafina and Arcangela (Los Angeles Eutrepe’s Opera Company, 2003), Gretel in Hänsel und Gretel (New York at Lincoln Center National Dance institute, 2010). Her Recording catalog includes three solo albums: Cartas de Amor (1998), Passion Tango (2009), and Piensa en mi (2010), as well as many collaborations with world-renowned artists. Today she thrives as one of the most versatile mexican sopranos, performing regularly throughout the United States and internationally.